Cruises. They're not just a vacation. They're the time of your life! To travel is to enjoy the journey. Make your summer one to remember with an immersive journey full of transforming moments.Seas The Day! I travel not to escape life. But to explore the world!. The Best Way To Explore The World. Welcome to a summertime adventure with an ocean-inspired cruise with a balcony cabin view offering spectacular views! Friends, & family have the most fun - especially on a group cruise. Whether it's for weddings, reunions, birthday milestones or simply getting together with friends and family, tthere are many reasons why groups choose to sail with us again and again. And, one good reason is our exclusive mini-group rates for as few as 3 couples! Call for details. 26 CRUISE BRANDS... Inspiring Destinations. No matter what kind of traveler you are, we've got a cruise for you. 350 ships, from classics to modern luxury. Over 12,000 sailings around the world and more options to fit your budget than anyone else. "Twenty years from now, you will be most disappointed by the things you did not do, then by the things you did do. Cruise Traveler Magazine is a cruise travel blog and online magazine offering an unbiased cruise guide, latest cruise news, cruise reviews, tips, feature cruise articles, and need to know information about cruising. Featuring community member contributed content. Cruise Reviews. Cruise Ship Ratings and Cruise Line Rankings. Editorially independent of travel providers or cruise lines. "Cruise Traveler Magazine : Expert Advice for First Time Cruisers and Seasoned Travelers." Exceptional Value. Remarkable Offers. From fee-free cruises to fully refundable deposits, lowaffordable prices, a guaranteed good deal or your moneyback, discover why Cruise Direct Online is the ultimateone-stop cruise travelers savings site, to book your nextcruise. Save up to 70%! and get Expert Advice for First TimeCruisers and Seasoned Travelers. From planning to packing,from discount rates to departure dates, everything you needto know before you go! Friendly faces going to all kinds of places! Alaska : Caribbean : Europe and Beyond! Whether this is your first cruise or you are a seasoned cruise traveler, Cruise Traveler Magazine is where travelers come to cruise. Traveling is good for the soul and spirit. If you are ready for your next cruise travel experience, we are here to help make it happen. Go ahead, click around, go explore...let the online pages of Cruise Traveler Magazine inspire you to cruise as we answer the who, what, where, when and how about cruising. FREE Planning Advice is just a phone call away at 800.365.1445. This a totally free service with no-obligation to book. So, what are you waiting for? Get started planning your dream vacation today! Cruise Tips: Learn The Top 20 Winning Ways To Get More Cruise For Less. Cruise Traveler Magazine readers went on some great cruise vacations this summer to Europe, Alaska, the Caribbean, Mexico, even Hawaii. Whether you traveled across the globe, or just took a weekend Bahamas cruise, you came back with lots of pictures, stories and fond memories. Read all about their favorite moments in words and pictures. Cruise reviews from cruise travelers just like you help others in our community choose the best cruise ships, destinations and ports of call, making the experience better for everyone. A fair, unedited and unbiased resource of cruise ship reviews ratings and rankings, cruise line reviews, cruise ship listings, cruise destinations, cruise reports, cruise line reviews, ratings and cruise ship reviews, ratings by travelers and cruise experts on today's most popular cruise ships. A treasure trove of cruise deals. Families, Seniors, Military & Special Resident Vacation offers! Save up to 70%! Expert Advice for First Time Cruisers and Seasoned Travelers. From planning to packing, from discount rates to departure dates, everything you need to know before you go. ►Alaska Cruisetour Review - Read our 7 day Alaska Rail, Lodge, and Denali National Park Review: Island Princess, Coral Princess & Star Princess. ►Grand Asia Cruise Review - Read our 14 day Asia cruise review of Diamond Princess. Loaded with destination information and tips. ►Why For This Travel Advisor Alaska Is Hot - A very special level of service differentiates this travel advisor from others. ►Book Alaska cruises early, ships are crowded! ►Alaska Cruise Tour Review :7 Nights - 8 Days Anchorage to Fairbanks plus a 7 day Voyage of the Glaciers Cruise. ►Alaska - The Last Cruise Frontier : A destination that should be at the top of every cruise enthusiasts bucket list. From sea to shore, from must see sights to must-do adventures, to departure dates, everything you need to know about shore excursions before you go on your cruise. Such as our Ultimate Shore Trips List. 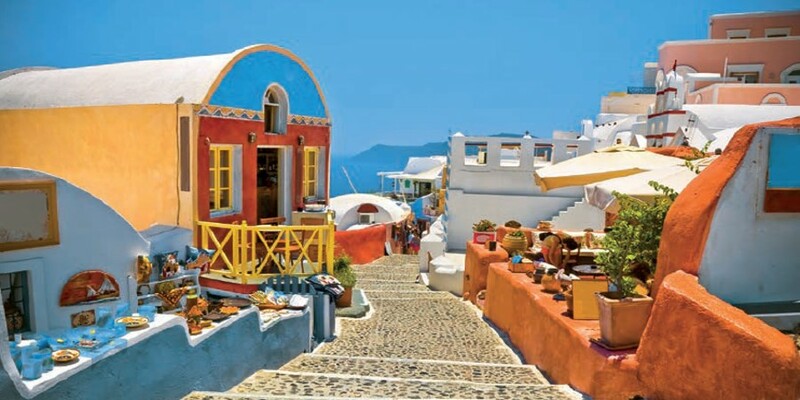 The definitive guide to what to do ashore on your next cruise...read about exciting locales in Destinations Uncovered or learn more about our readers favorite cruises and shore tours for the kids and teens, seniors or active couples. All the Tips and tricks to have a successful cruise vacation. Check out the Traveler's Picks: Top rated tours before, during and after your cruise. Are you taking kids and teens, looking for a high adventure, or the best romantic cruises? Find all the tips and tricks to choose the right ship to have a successful cruise vacation. From staterooms and dining to nightlife and youth programs, first-time cruisers will find all the information you need about cruising right here. Booking a cruise should be a simple and straight forward experience, and for the most part it is. However, we all know about the many details to take care of. Details, that at times can seem overwhelming. Imagine having someone available to assist you with all of your destination, onboard and ashore needs. Our Certified Cruise Travel Experts act as your personal cruise concierge. Creating a curated trip designed to meet your budget, wants and needs. Their services are complimentary. Their advice is free and so is the phone call to reach them. So, call 800.365.1445 to get started. At Cruise Traveler Magazine we provide intelligent recommendations and Information from Certified Cruise & Cruisetour Experts and Online Travel Guides. Representing the next generation of experience and know-how to help you plan the perfect Cruise vacation. Cruising is all about inspiration and lasting memories. And our job is to help travelers like you navigate your way through all the choices, and options available before you set off - and, crucially, by acting as a reference point when planning your trip, helping you find your way. Then, we provide intelligent recommendations and reviews, thus limiting the amount of confusing and contradictory information you may have before you. In essence, it's all about helping people like you make the most of an unfamiliar place. Meeting travelers' differing needs. Sometimes it pays to put yourself in the hands of the experts. Discover extraordinary fun, must-do experiences and savings with a well-planned Shore Excursion program. Planning a vacation can become like a second job. So many decisions. So many websites. Enough information to fill a book - actually, hundreds of them. That's where we can help. Discount cruise line offers you didn't find in your home town newspaper or elsewhere on the internet. Cruise search our exclusive listings of over 12, 000 cruises. Go ahead look around then give us a call! 800.365.1445. Looking to book Travel Insurance for your trip? To make sure that you've done everything you can to protect yourself and your trip, do your research; be up-front with your insurance company about any conditions you think might apply; purchase your travel insurance policy as soon after paying your initial trip deposit as possible; and familiarize yourself with all the details of your policy before you depart. Cruise Travelers like you get to cruise the world for less. CRUISE TIP: You may be eligible for "unpublished" Onboard Spending Credits, Cash Back, Cabin Upgrades, 2 for 1 Fares, Low Solo Fares, Kids Sail Free or at Reduced Rates, Lower Deposits, Reduced Airfare, Senior Rates, Military Discounts, Mini- Group Rates, or Past Guest Deals not shown online. To get the latest up-to-the-moment special offers, discount prices, current fares, savings and cabin availability call us at 800.365.1445. CRUISE TIP: Special discounts you may not know about, but absolutely need to take advantage of! If it's a cruise deal you're looking for, search no more! Remarkable offers for Families, Seniors, Military & State Residents. Your favorite cruise line or destination not listed here? | Click Here To Find Them All! We've organized all the must-see sights and must-do adventures into a single shore excursions magazine, Port: Adventure. You'll get expert guides, find great service, and learn how to maximum the amount of time in each port to enjoy your vacation. We save you the precious time it takes to organize the ultimate shore side experiences during your cruise vacation. And, on top of that, show you where to find value priced shore trips to save you money. All you have to do is relax and enjoy your cruise vacation. Questions? Just call us at 800.365.1445. New to Cruising? If you've never cruised before, you probably have a boatload of questions. That's why we created this indispensible first-time cruiser's guide, filled with useful cruising tips, expert advice, and more. Find answers to your most pressing questions, get advice on how to choose the perfect ship, cruise line, and stateroom, use the cruise destinations guide to plan your trip, and learn more about the action-packed activities that await onboard. Get your sea legs before you sail with our first-time cruiser tips. New to Cruising? Get the Scoop Before You Sail! ► Find over 5000 Shore Excursions Worldwide at Up to 50% off Cruise Line Prices! ALASKA Trek across the "Great Frontier" and explore mile after mile of stunning fjords, glaciers, forests and mountains. BAHAMAS & BERMUDA Soak up electric blue waters, track the pursuits of legendary pirates and unravel the mystery of the Bermuda Triangle. CANADA & NEW ENGLAND Breathe in the life of rugged seaside villages and the spirit of the American Revolution. CARIBBEAN Bury your toes in sugar-white sand, unearth Mayan ruins and shop at outdoor markets for duty-free handicrafts. MEDITERRANEAN EUROPE Stand at the feet of Michelangelo's David, stare into the eyes of da Vinci's Mona Lisa, and take in the most inspired works of art ever created. NORTHERN EUROPE Toast to the wonders of lofty castles, grandiose cathedrals and pastoral countryside in an Irish pub. HAWAII Relax on Waikiki Beach and snorkel amidst lava rock in Nawiliwili Kauai. Or explore Hawaii's memorials and monuments. MEXICO Tour ancient villages, old-world factories and traditional plantations. Or daydream in a hammock on a sun-drenched beach. AUSTRALIA & SOUTH PACIFIC Trek past boiling mud pools and powerful geysers in Tahiti and then attend a world-class performance at the Sydney Opera House. PANAMA CANAL Sail through this $350 million man-made wonder en route to fascinating countries like Costa Rica and Aruba. SOUTH AMERICA Encounter mummies, active volcanoes and pink dolphins in a country that celebrates both ancient tribes and sophisticated cities. Q. How can I view shore excursions & hot shore tour deals, specifically for my cruise? A. Excursion finder will help you identify which ports your cruise visits and the tours available for those dates in each of the ports. You will need your cruise departure date, cruise line and ship and we will provide you with the ports and tours available in each of those ports for the days you are in port. Select your cruise line here, then click on go! Select Cruise Line AMA Waterways American Cruise Lines Avalon Waterways Azamara Club Cruises Carnival Cruise Lines Celebration Cruise Line Celebrity Cruises Compagnie du Ponant Costa Cruise Lines Cruise & Maritime Voyages Crystal Cruises Cunard Line Ltd. Disney Cruise Line Fred Olsen Cruise Lines Holland America Line Hurtigruten Cruise Line Imperial River Cruises MSC Cruises Norwegian Cruise Line Oceania Cruises Princess Cruises Regent Seven Seas Cruises Royal Caribbean International Seabourn Cruise Line SeaDream Yacht Club Silversea Cruises Star Clippers Swan Hellenic Cruises Thomson Cruises Viking River Cruises Voyages of Discovery Windstar Cruises GO! Viking River Cruises : Sail alongside medieval castles, ancient ruins and luxuriant vineyards on rivers such as the Nile, Rhine, Danube, Yangtze and Duro. An Alaska Cruise...where a balcony cabin and a spectacular train ride become front-row seats for one of the most breathtaking shows in nature! Fully experience Alaska, discover its interior from Anchorage to Fairbanks and Denali National Park in between. On an Alaska cruise, you'll journey along the southeast coastline of Alaska, experiencing its glaciers, nature's ever-changing and fragile masterpieces. But on an Alaska Land & Sea Vacation you'll uncover so much more, by combining a seven-night Alaska sailing with a small-group tour into its magnificent inland destinations. Stay in the finest available lodges and embark on remote roads and railways in deluxe transportation. "The weather this week was incredible, 70 and sunny. Lots of whales, eagles, porpoise, bear, moose etc." ►Why Is Alaska So Popular Today? ►Why For This Travel Advisor, Alaska Is Hot? ►What's The Perfect Alaska Cruisetour? ►What Should I Pack for an Alaska Cruise? ✔✔ When it comes to Alaska, Holland America Line has the expertise to take you farther, get you closer, and give you those once-in-a-lifetime moments. ✔✔ Alaska : Places To Go. Things To Do. Over 3700 Reviews. 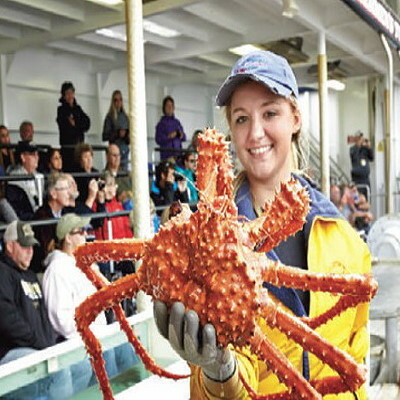 Shore Experiences of Alaska - King Crabs, Fishing and Glacier Landing Experiences and More! This curated collection of cruises and cruisetours creates the ideal backdrop to your getaway - whether you're cruising the Inside Passage or on a Voyage of the Glaciers. And when booked through Alaska Cruises Direct, you will enjoy a complimentary set of unique amenities and VIP-worthy privileges that craft an authentic, memorable experience. Anchorage combines spectacular glaciers, rich Alaska Native culture, iconic wildlife and unrivaled wilderness in a single place. Start planning an unforgettable Alaska vacation with the Official Anchorage Visitor Guide. Official Guide to Anchorage - IT'S FREE! Sure, you know the ship's gonna be a blast. But what happens when you walk down the gangway into a port? Well, we've got the answer: a full-fledged fun bonanza! We've tracked down the coolest stuff in every port - from the best tour operators which means you can be sure the good times won't slow down just 'cause you're leaving the ship. So go ahead...snorkel, zip-line, ride a 4X4, swim with dolphin, shop or just relax on the beach. We've got tons of great shore excursions for you to try. So, save money and escape the crowds on shore excursions in the Caribbean, Alaska, Europe, Hawaii, Bermuda, and Mexico. We are here for you with one-on-one support and free personalized cruise vacation planning help. Whether you need help finding the right cruise line, cruise ship, destination, ports of call or shore excursions or want to learn more about us, a professional Certified Cruise Vacation Expert is just a toll-free phone call away. * Prices and availability are subject to change at any time. Prices are provided by our cruise line partners and/or related entities. Prices are per person, US dollars, based on double occupancy and do not include all taxes and fees and available for US and Canadian residents only. This website, containing advertisements from travel suppliers and cruise lines. Cruise Traveler Magazine is a travel information service. In addition to useful information and planning tips, we help you search for travel products/services from related entities and third-parties. 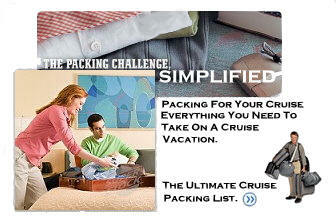 Cruise Traveler Magazine does not directly sell any travel products or travel services. We also provide you with information about our other entities and third-party travel suppliers' offers and we link you to our owned sites and others.. At the time that we published the information, it was correct. However, prices, amenities, special offers and promotions, itineraries, and accommodations and availability change often at the will of the cruise lines and third parties. As we have no control over the suppliers, we therefore do no warrant or guarantee that at the time of your actual booking, their offers, pricing and availability will not change or become unavailable. Nor are we responsible for their merchantability, products, services, policy or procedure, rules for booking and cancellation or website content.